Because many people are worried about tanning with traditional options (the sun or tanning beds), many companies have come up with at-home tanning sprays and lotions to help men and women have that sun-kissed look regardless of the weather. It’s a lot safer, but there are seemingly endless products on the market. Therefore, it’s tough for many people to determine the right product for their needs. There are many considerations to factor in, such as price point, variety within the brand, and more. This review covers a variety of brands, ensuring that you can find the right choice for your body. Bondi Sands Gradual Tanning Milk is first on the list. 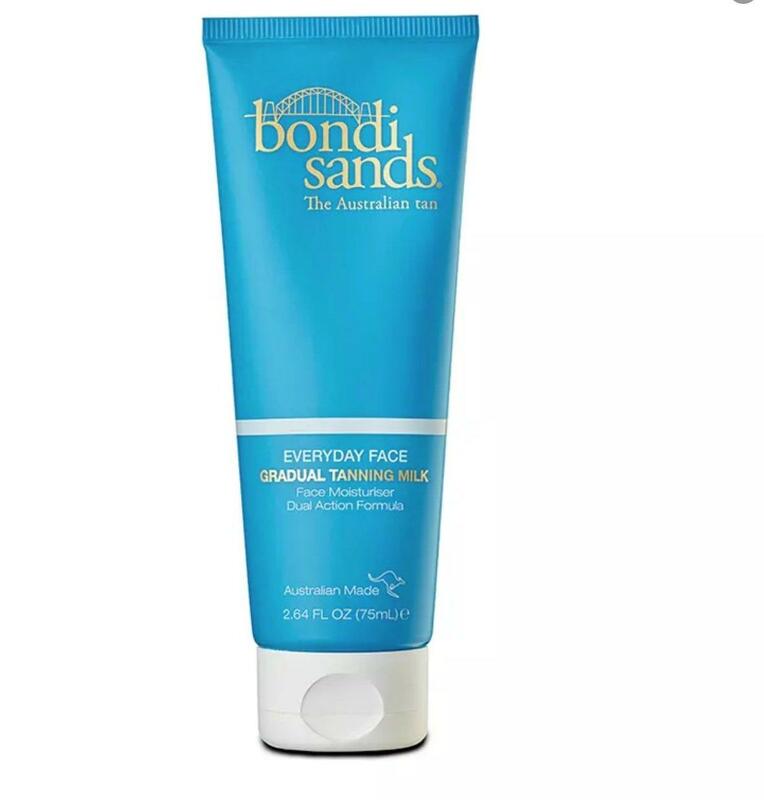 These tanning products are made by an Australian company, and there are many products within the Bondi-Sands name, such as tanning milk, moisturizers, and more. Their traditional Gradual Tan product is an excellent choice for people who don’t want to go home at night all white and come to work the next day with an excellent Australian-style tan. Since they’re manufactured in Australia, you may pay higher prices if you live in the US. The product can feel sticky during application and can take longer to dry. Has many different types, making it hard to know which works for you. 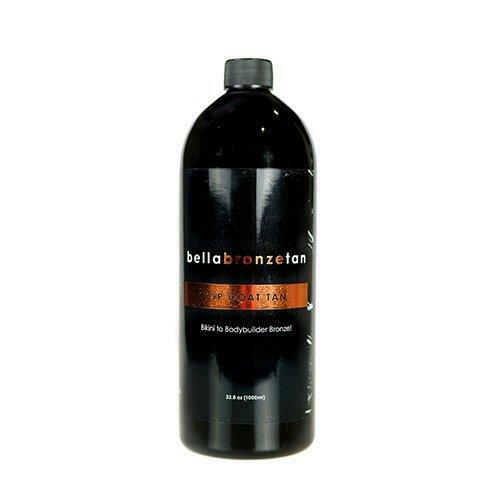 Bella Bronze offers the Golden Chamomile/Goats Milk self-tanner with the option to purchase the tan maximizer, as well. The tanning product provides a deep color within three hours and provides a natural look that is even when applied as directed. The product does contain fragrance, which may be unsuitable for people with sensitive skin. You should not let the product get in contact with clothes or hair, which can be problematic when applying at home. 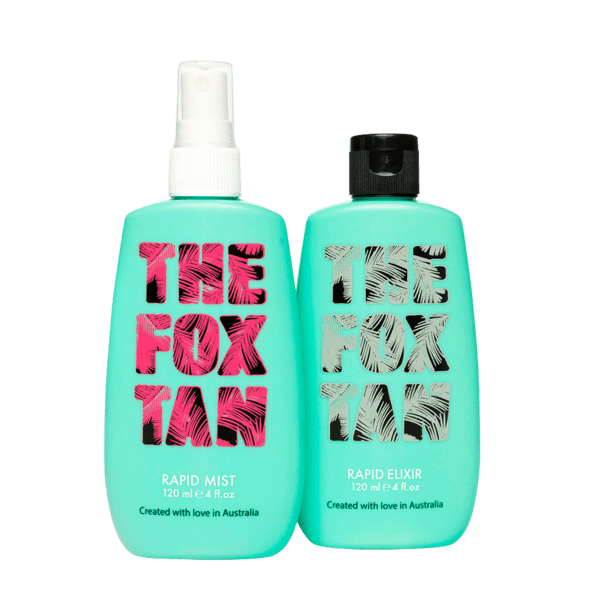 The Fox Tan is actually two products in one and manufactured in Australia. It comes with an elixir and mist. The elixir is a lotion designed to be used as a daily moisturizer that boosts melanin production. You use it a week before going to the tanning salon or being out in the sun and use the mist the day of your tanning excursion. Even if you don’t go tanning, the elixir gives you a golden base that gives you the sun-kissed appearance. Vegan-friendly brand that doesn’t test on animals. The product is designed to be used before and the day of traditional sun tanning or tanning-bed tanning, which can be detrimental to your skin’s health. Many people complain that they do not see a difference in melanin levels. 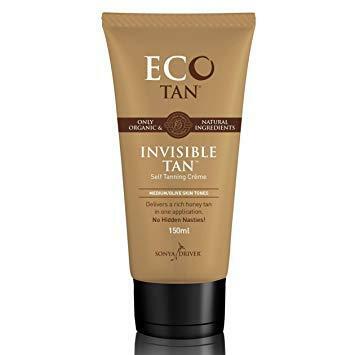 Eco Tan is an organic tanning lotion suitable for the face and body. It’s made by an Australian company, and it helps you get a natural tan without the harmful sun’s rays. It works slowly and takes about eight hours to fully develop. It has no parabens, silicones, synthetic dyes, sulfates, or artificial fragrances, making it suitable for those with allergies and anyone who prefers organic and natural products. Color comes from the Cacao plant, so there are no green or orange tones, which means you don’t get orange streaks. While it can work for any skin tone, it is designed primarily for olive skin tones. The Bali Body Bronzing Lotion can be used on both the face and the boy. It is manufactured in Australia but can be purchased from the United States and other countries. It uses an organic caramel extract, which provides the user with an instantly bronzed glow. It’s a fast-absorbing moisturizer that’s designed to provide slight tinting while giving your skin the natural oils that it needs. It’s vegan-friendly, as well. Smells excellent and doesn’t use artificial fragrances. It doesn’t provide a full-on tanned appearance; it just adds a little tint to the skin that must be reapplied daily. Some people have complained about packaging; make sure you purchase the product from a reputable manufacturer. After looking at all the tanning products, you can see that all products and brands have pros and cons. The best tanning product for you depends on a few factors, but primarily, it depends on what you want to achieve from the product and your views on organic/natural versus synthetic ingredients. Of course, your budget can also play a significant role in determining the best self-tanning product for you. However, one tanning product brand is sure to be appealing to you, and that is the Wotnot Tanner brand. Wotnot Tan focuses on natural and organic ingredients that help you achieve the natural tan you desire. You want your skin to have a sun-kissed glow rather than orange or green streaks, and you achieve that with their products. 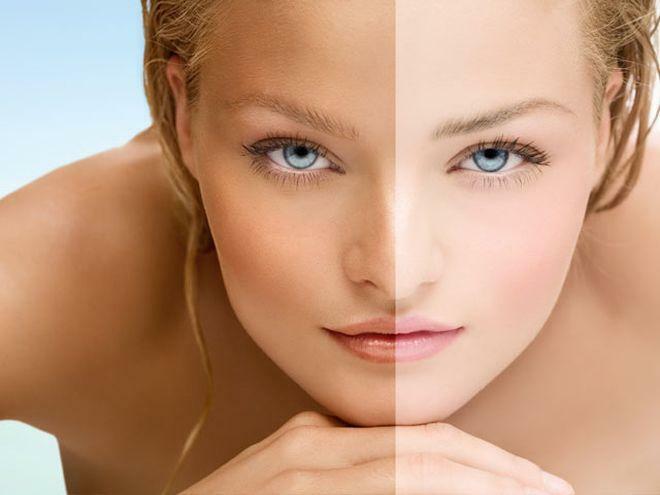 You can choose between the gradual tanning lotion or the traditional tanning lotion. Both options are certified organic, so the choice depends on whether you want it to take a few days to fully develop or if you want to look sun-kissed and smashing right now. Multiple products available to meet anyone’s needs. You can also purchase a tan application mitt to make the process easier. Suitable for vegans and people who prefer all-natural products. You’re not exposed to chemicals and still get the tanned look. Organic certified so you know you are getting quality ingredients. Wotnot Tanning products offer you a suitable alternative to cheaply-made products that use chemicals. Even some of the ‘all-natural’ self-tanners still contain chemicals even though they claim they don’t. With Wotnot self-tanning products, you know you’re getting the best.